When I became much older I started questioning vegetable oil because when I squeeze vegetables like carrots or ugu (pumpkin leaves) I won’t find oil. Unlike coconut, when eating it you will know it has oil or when peeling orange you will see traces of oil. However, I felt there must be a way they extract the vegetable oil from the vegetable. My interest in vegetable oil resurfaced when I decided to start making healthy food choices. I became curious about the extraction process. If they were really extracting anything and if they were, how safe for the body. After attending NITC 14, where we talked industry-funded research and our dear vegetable oil. 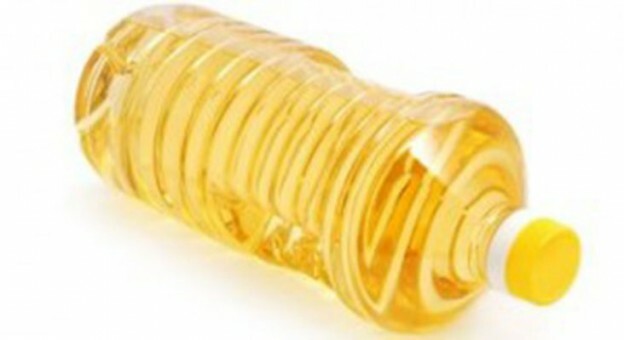 Vegetable oils cannot be extracted just by pressing or separating naturally. They must be chemically removed, deodorized, hydrogenated and altered. These are some of the most chemically altered foods in our diets, yet they get promoted as healthy and people fall for the “vegetable” part in the name. Then you begin to wonder how exactly it is healthy when heart disease and cancer continue to rise at an alarming rate despite avoiding the “bad fat”. They contain very high levels of polyunsaturated fats. Polyunsaturated fats are highly unstable. They oxidize easily. These oxidized fats cause inflammation and mutation in cells. Many vegetable oils contain BHA and BHT (Butylated Hydroxyanisole and Butylated Hydroxytoluene). These artificial antioxidants keep the food from spoiling too quickly, but they have also been shown to produce potential cancer compounds in the body. And they have been linked to things like immune system issues, infertility, behavioural problems, and liver and kidney damage. Vegetable oil contains very large amounts of biologically active fats called Omega-6 which are harmful in excess as it creates unbalanced levels that lead to health problems. Which oils to use then? Note that palm oil and coconut contain saturated fat, so use in moderation. Thank you OnyinyeOlufunmi, thumbs up for this.